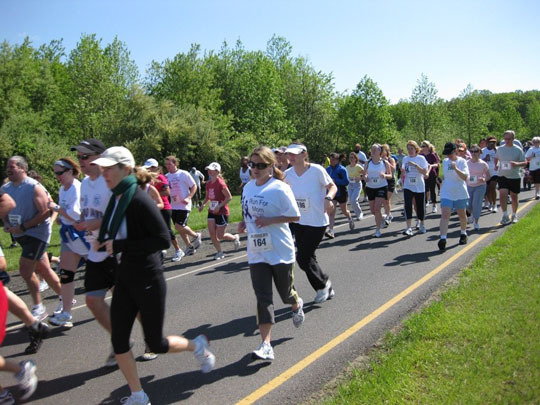 6th Annual WHF Run a Big Success! 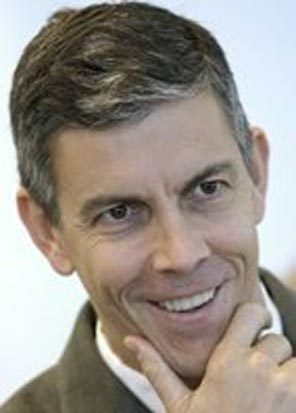 Arne Duncan, Education Secretary, was recently interviewed by Charlie Rose about expanding wellness opportunities by opening our schools to our citizens. He said "Our schools need to be open 10,12,14 hours a day for a wide variety of activities for children and adults and families. When schools become the center of community life, great things happen. Schools are great physical resources and they belong to the citzens of the community. There has been a lack of creativity and a lack of understanding. Our society has changed and our schools have not kept pace. It is about thinking differently. Unprecedented resources can come to the table; be creative; what if the school partnered with a great non-profit to provide after-school programs and services to the community, even medical resources". More at youtube. Click here to view video. Find a Heart Friend The Women's Heart Foundation (WHF) and the Friends' Health Connection have teamed up to help women with heart disease find a friend who has had a similar health experience. This type of mentoring one-on-one support can help bring about healing and restore confidence in one's health. Friends' Health Connection was founded in 1988 by Roxanne Black-Weisheit. Roxanne was diagnosed with a condition called Lupus at the tender age of 15. She said she felt isolated, fearful and alone in dealing with her diagnosis, and so she proceeded to contact hospitals and health professionals to find others with the same condition around the same age as she. It helped her immensely to feel less lonely. In college, even though she had no funding, she decided to expand her efforts by offering a free telephone support service to match patients by diagnosis, gender and need. Thanks to funding by J&J, The Friends' Health Connection is now a national organization and thousands of individuals with health challenges have found renewed hope, strength and support from friendships made through Friends'. Many people have become best friends. Find a Heart Friend will be a featured service in all future issues of Women's Heart Foundation e-newsletters with a listing under the Networking section. By the way, Friends' Health Connection is not limited to heart disease support. You can find a friend for Mutiple Sclerosis, breast cancer, HIV, arthritis, autoimmune disease, and many other medical conditions and health challenges. We urge all women survivors of heart disease to take advantage of this valuable service and to reach out to heart sisters. It's easy to make the connection. Just click here. Do it today. Thank you, Roxanne, for bringing a Friend to Women's Heart. Attend a Free Cocktail Reception at MacKenzie-Childs in NYC June 18, 6:00 p.m. - 8:00 p.m. Click here to download an invitation. Download the Designers Tables Designs Ballot. Place your vOTE for Table #1 and help Women's Heart Foundation win $5,000! Find a Heart Friend. If you are a woman struggling with heart disease, you needn't feel alone. WHF and Friends' Health Connection can help. SAVE THE DATE: October 19, 2009. St. Joseph's Regional Medical Center in northern NJ and the Women's Heart Foundation are partnering to offer women a day of wellness and education. Volunteer Corner Confident. Kind. Intelligent. Strong. Those are the words that describe Stacey Mignone. Stacey works full-time with the state of New Jersey as ticket sales manager at the Patriot Theater. Part-time she works as a personal trainer at several fitness franchises located in central New Jersey. Ten years ago, Stacey weighed nearly 300 pounds. Through a determined spirit and positive attitude, she embraced wellness and began to lose weight and get her life back on track. Once she achieved her fitness goals, she became certified as a personal trainer. Stacey has volunteered for the WHF on many occasions and in many capacities over the past six years, leading warm-ups at the annual RUN, teaching cardio-dance to Teen Esteemers at Trenton High and even holding fund raisers for WHF. Pictured here is Stacey quietly reading a proclamation from the Governor in commemoration of National Women's Heart Week in New Jersey. THANK YOU, Stacey, for your time, commitment and caring so deeply for women's hearts.